Your message has been sent to Arjun Ayur Life . Like authorSTREAM? Give us a +1! Ayurveda in India is practiced since ages and it is worshipped as religion as this branch of medical science has capacity of changing life of those who are suffering from serious problems from years. The ancient writings and records have mention of healing power of Ayurveda that can be read in details in Athrava Veda belonging to Charak Samhita. Ayurveda practitioners used to practice Ayurveda as a religion where they pledge for dedicated and committed services for society. 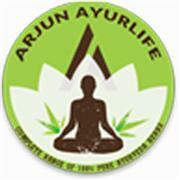 Arjun Ayur Life's Podcasts ..